So you have a diagnosis… now what? So you have a diagnosis... now what? Congratulations! After a (very) long journey your child was just diagnosed with PACS1 Syndrome. We are happy to tell you that the PAC1 family is a lot bigger than you might think! There is a family support group that is very active and supportive. They are willing answer your questions and to share their stories with you. Our families are from all over the World. Please contact Kerri at PACS1Information@gmail.com to be added. SimonsVIP has begun a repository for PACS1 and other rare syndromes. Please contact Farhad at PACS1Information@gmail.com for more information on how to enroll your child. Getting a diagnosis does not end your appointments with a genetics. We recommend continued genetic counseling. Although we are not medical professionals, the parents of PACS1 children recommend that if you have not started please look into physical, speech and occupational therapy for your child. 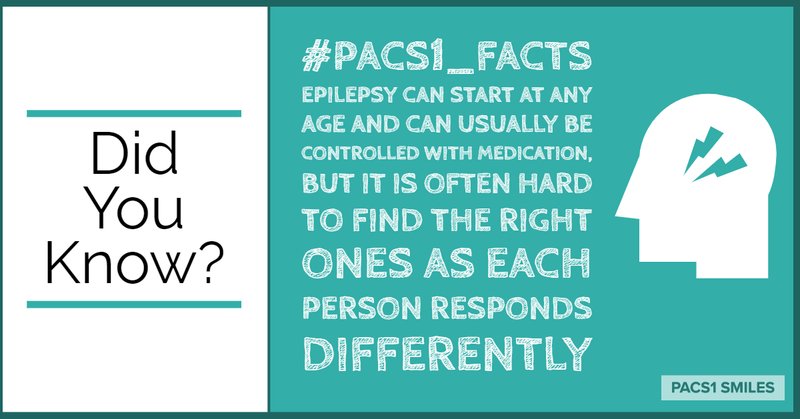 When you meet with your doctor you can provide him/her with the latest research that may help answer their questions regarding PACS1. See the Resources page for links to the support group as well as a document to help you through the first few weeks after diagnosis. As of early 2018, our community has now grown to a tiny but mighty 70+ families, and we felt it was time to formalize, organize, and establish a 'Home' for PACS1. Our mission is to serve as a collaborative center of education, support and research for children and their families living with PACS1 Syndrome. PACS1 Smiles is still in the process of establishing as a 501(c)(3) organization. Currently, the Steering Committee consists of three parents of individuals with the syndrome. Farhad's daughter was diagnosed in 2014. Since then, he has made a second career out of awareness-raising among the medical community and general public; fostering a supportive caregiver community; and promoting collaborative research initiatives. Farhad has 15 years of eclectic experience spanning multiple industries. He has a BSc. in Computer Science from University of Windsor, an MBA from Dalhousie University, and specializes in risk management. Kerri is mom to Bridget, who was diagnosed with PACS1 in 2014. Kerri brings over 20 years experience in small business management, 10 of those years in the non-profit sector. Kerri is an active member of her community, serving her second term as a School Committee member. An award-winning blogger, Kerri writes to bring awareness of PACS1 and the challenges raising a child with special needs. Kerri and her family currently live on Cape Cod, Massachusetts. Beth Poague is an independent documentary producer in Beacon, NY. She has numerous credits in film and television, and worked most recently with SR Productions, with director Susan Rockefeller, to produce socially relevant films on topics ranging from food and farming to Bach’s Coffee Cantata. Before working in documentary film, she was a program and development consultant for foundations, nonprofit organizations and individuals in the arts and was Executive Director of No Name Exhibitions @ The Soap Factory, a nonprofit gallery for emerging artists in Minneapolis, Minnesota. She has a degree in Nonprofit Management from the University of St. Thomas and a BA in Psychology from the University of Minnesota.